Tokyo, Japan – October 2, 2015 – LINE Corporation, owner and operator of the messaging app LINE, has announced that LINE DECO, a LINE family app available for free on iPhone and Android devices that allows users to customize their smartphones, reached over 30 million downloads worldwide as of late September 2015. LINE DECO lets users decorate their smartphone wallpapers and icons with illustrations and photos featuring the LINE characters and a variety of other themes. The service offers the ability to customize smartphone home screens, adding a new layer of enjoyment to mobile life. Since beginning service in March 2014, the app has won praise from users in Japan, Taiwan, Thailand, and other countries for its large selection of original decorations. 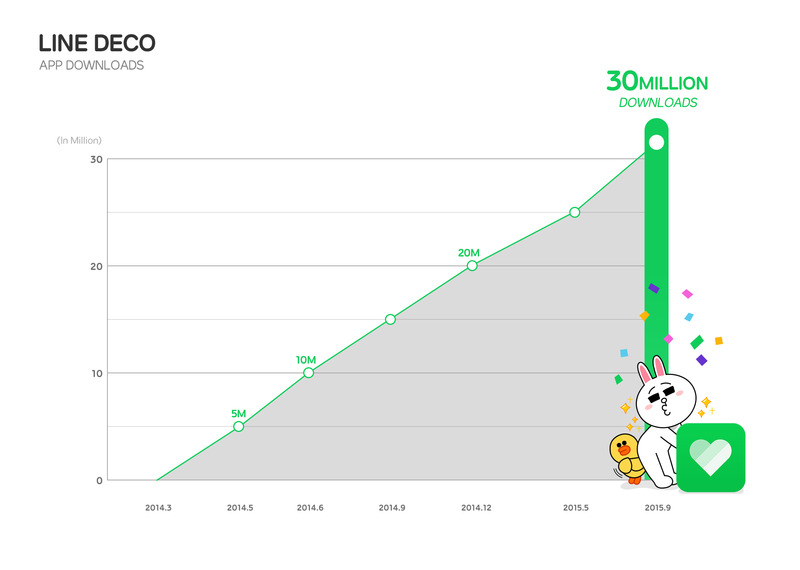 LINE DECO’s simple approach and the freedom it offers users to customize the mobile device of their choice has helped earn it the number one spot in the App Store for free apps in nine countries and regions*1. More recently, the app has broadened its user base by introducing icon packs that let customers choose a theme that changes their wallpaper and icons all at once, adding to the foundation built by its reputation for easy customization and the vast selection of more than 25,000 items it has to offer. In terms of growth, the service's popularity extends beyond the United States and Japan. 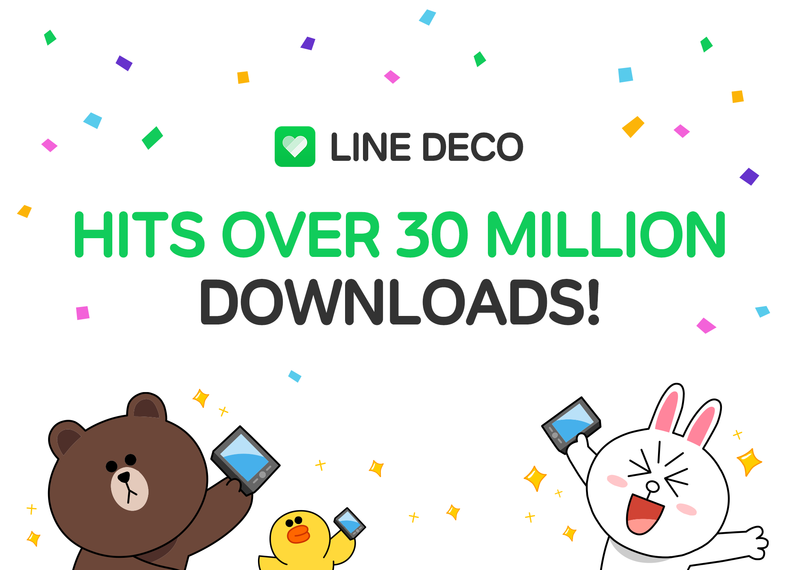 LINE DECO has also experienced an increase in users in China and other Asian countries, achieving 30 million downloads worldwide in September 2015, one and a half years after launching. In addition to attracting new users, the service has also turned its attention to bolstering the full complement of features it offers by adding a battery power monitor and calendar widget in March. This update was followed by the August release of its own iOS Launcher used to customize the icons found inside the iPhone’s Notification Center, which users can access by swiping down on their device’s screen. These advances have culminated in a total of 1 billion wallpapers, icons, widgets and other items downloaded around the world as of September, 2015. LINE DECO plans to release a weather widget in the future to complement its array of convenient customization features. The service hopes to improve the quality of its users' smartphone experience by forming new partnerships with other companies in order to offer an expanded list of content and events in the future. All listed company and product names are trademarks or registered trademarks of their respective owners.